Throughout WOVEMBER we will hear from people taking part in the KnitBritish Breed Swatch-along who discovering the unique characteristics of different single breed wool yarns. LOUISE will be here tonight with a post about the SAL – on how you can take part and how it has spurred participants on to really investigate the yarn they knit with. Ahead of that post Alessandra Parsons is here with a few words on how she has been inspired by the SAL. 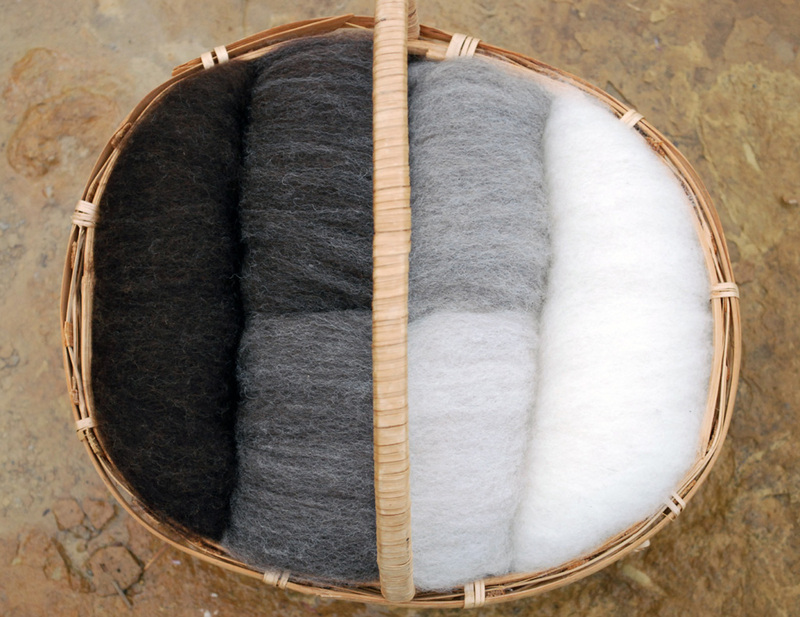 I’ve always known that wool comes from sheep, having visited many farms and agricultural shows during my childhood. I used to love watching the demonstrations of sheep shearing and then watching the fleece being carded, spun and then knitted. Knitting has been a part of my life for as long as I can remember. I’ve worn hand knitted items made by my grandma, my mum and more recently by myself. However, the majority of these hand knits were not made with wool. For most of my knitting history I was only aware of the big knitting houses, that create some lovely yarns, and bought my yarn from them. I then discovered, at around the same time, Ravelry, hand-dyed yarn and podcasts and my yarny world over the next few years slowly opened before me. One of these podcasts was KnitBritish, who led me to think more about where my yarn was coming from and who I was buying it from, but I still hadn’t ventured into the realms of knitting with actual wool. This is mainly because I have eczema and wool tends to itch me horribly. Ravelry and KnitBritish taught me that most people don’t seem troubled by Merino and BFL, so I dabbled with knitting with those, making shawlettes, which I could take off should they itch me too much. And sure enough these have been fine. But, I still haven’t ventured any further, until now. KnitBritish launched a swatch-along in October to look at different sheep breeds and how wonderful each one is. What better way is there to discover which ones I might be ok with than knitting a small square with each breed and exploring their properties? 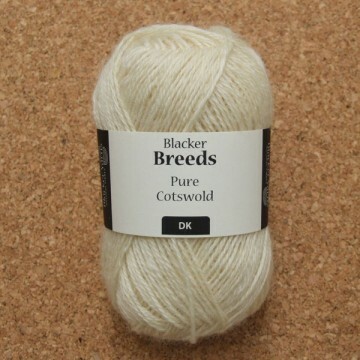 Cotswold wool – one of Aless’s chosen breeds. So, I ordered my first balls of British breed yarn and joined in with the knit along. However, I felt I wanted to do this properly and explore as many different breeds as I can, so I plan to make a virtual journey around the UK making a swatch for each breed and recording it as I go. At the end, I shall join all the swatches together and make a blanket which I hope will be a glorious collection of woolly sheepiness. You can follow my progress as I journey around the UK. I have created a project page on Ravelry for the blanket and am publishing all my notes from each swatch along with all the other swatch-along participants. Thank you so much, Aless. A breed blanket is going to show not only the myriad of breeds in the UK, but their own individual colours and textures. Perhaps you will share your finished blanket with us next WOVEMBER, Aless?